This collection includes all the books in this new spinoff series. Don’t Stop Me, Don’t Catch Me, Don’t Run From Me, Don’t Hide From Me, and the newest addition Claudia’s story in Don’t Leave Me. $0.99 on Kindle. Find more books like "The McCabe Brothers (Box Set)" on kobovskindlereviews.com. We feature both reviews of ereaders and discounted + free books on Kindle. Browse more books in the Romance. 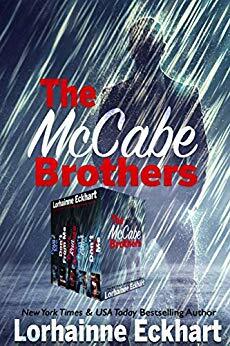 Disclaimer: "The McCabe Brothers (Box Set)" price was accurate on April 11th, 2019. However, Amazon Kindle book prices can and do change frequently and without notice. Before you buy a book on Kindle, it's best to double check the price. If you purchased a Kindle book that you thought was free, you can return it by following the Kindle book return instructions here.